I have been sucked into the slimy world of slimes by my YouTube obsessed daughter. She convinced me to make a Glittery Ocean Slime with her last week. It turned out so pretty and was super easy to make. Honestly i have to admit it was mesmerizing watching my daughter play with it. 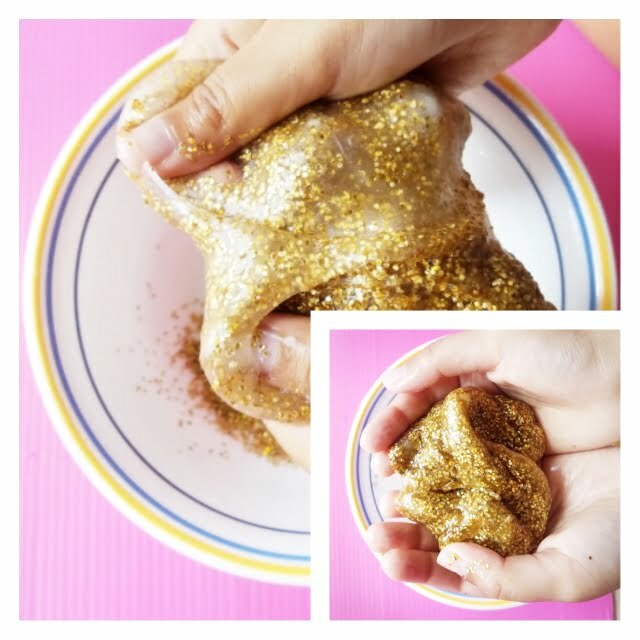 So for this week she wanted a Glittery Gold Slime. This time round i was also super excited to make it with her. 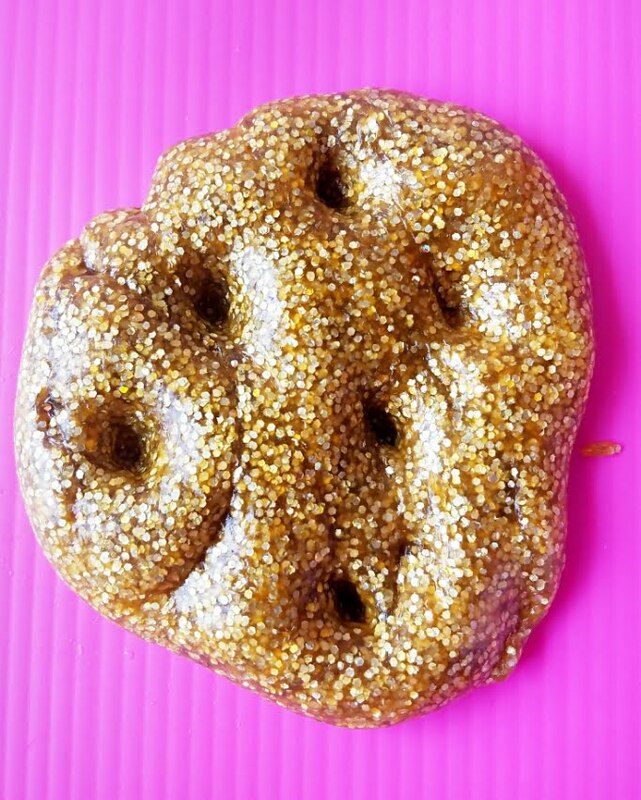 And i am proud to say this Glittery Gold Slime turned out so gorgeous. It looked like molten gold and was so fun to play with. 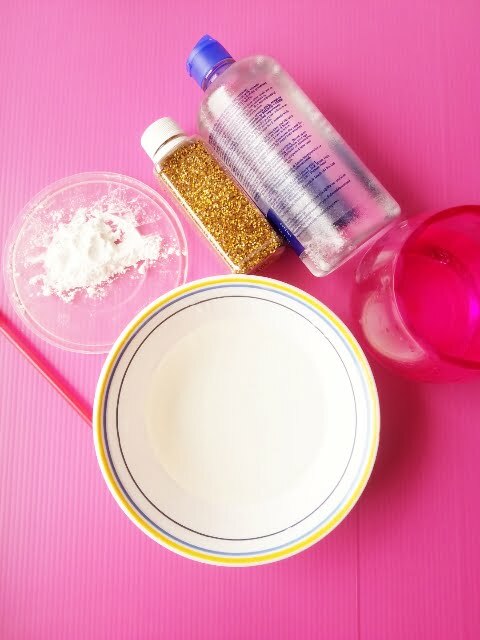 We decided to use the same recipe that we used before for our Glittery Ocean Slime. It involved only three main ingredients Clear Glue, Contact Lens Solution and Baking Soda. For those of you who are new to slime let me introduce you to the science behind it and some fun facts as well. Slime is a popular thick and slimy substance loved by all kids. 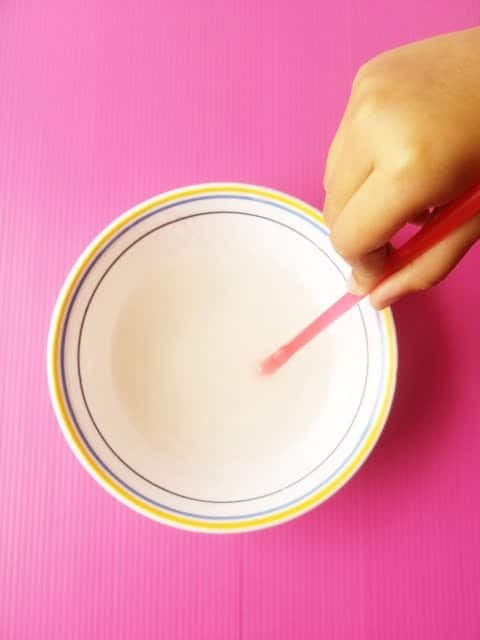 It’s science lies behind combining PVA glue with an activator – borax to change the chemical composition of the glue and convert it into a polymer cross-mixing. 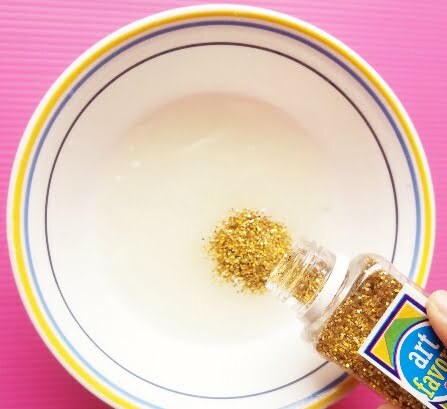 So while you are making my easy Glittery Gold Slime you can tell your kids you are doing a kool science experiment! 3. Slime fist became popular in 1976 and was marketed as an eky yucky gross toy. Note: If Elmer’s Cleat Glue isn’t easily available where you live then i suggest you try Adx clear glue. Though the results might not be the exact same, but its a good replacement for Elmer’s Clear Glue. 3. Next add about a 2 Tbs of water. Add more water if the glue stays too thick. 6. Next slowly add the contact lens solution to your slime. Drain the access solution once your slime starts to form. It should look something like this. It will still be pretty soft and stringy. 7. Keeping mixing the slime and add your golden chunky glitter now. We added tons of it! 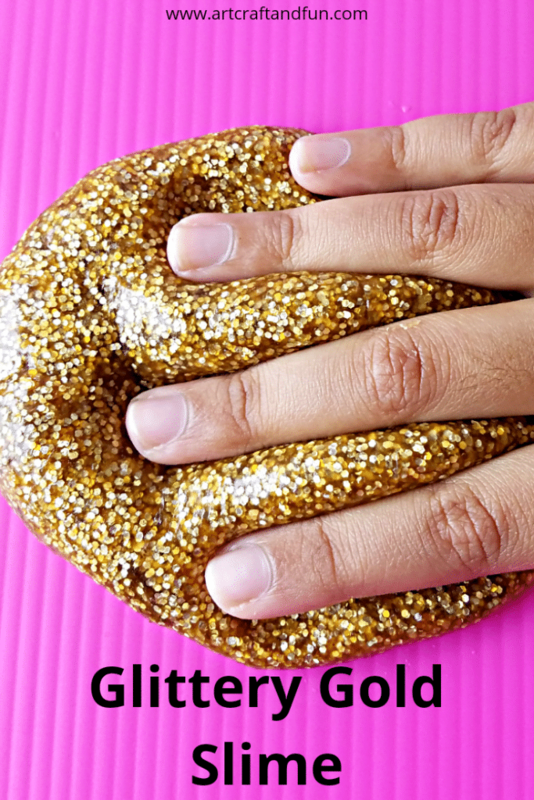 Glittery Gold Slime does need a lot of kneading. 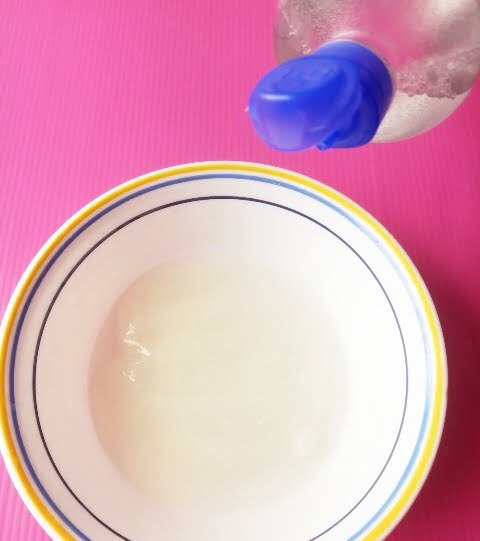 If your slime is still too runny add in a bit more contact lens solution. If its too hard then add in more water. 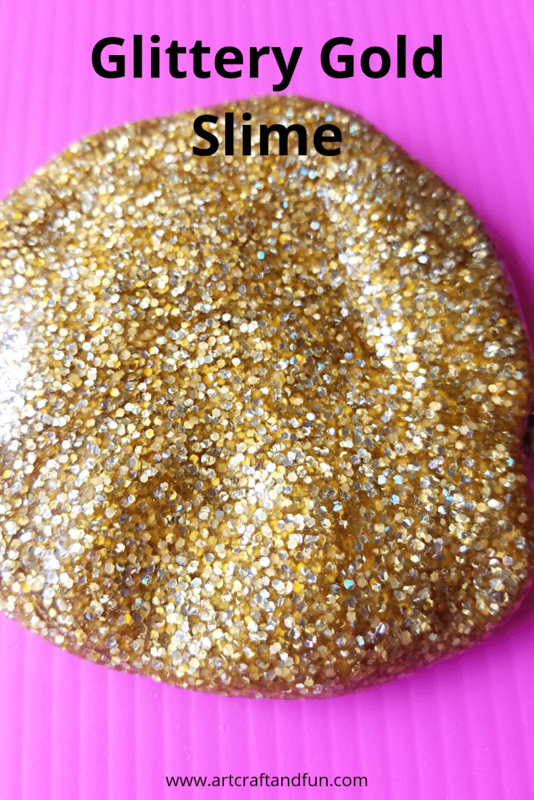 Gorgeous Shimmery Glittery Gold Slime is ready now. 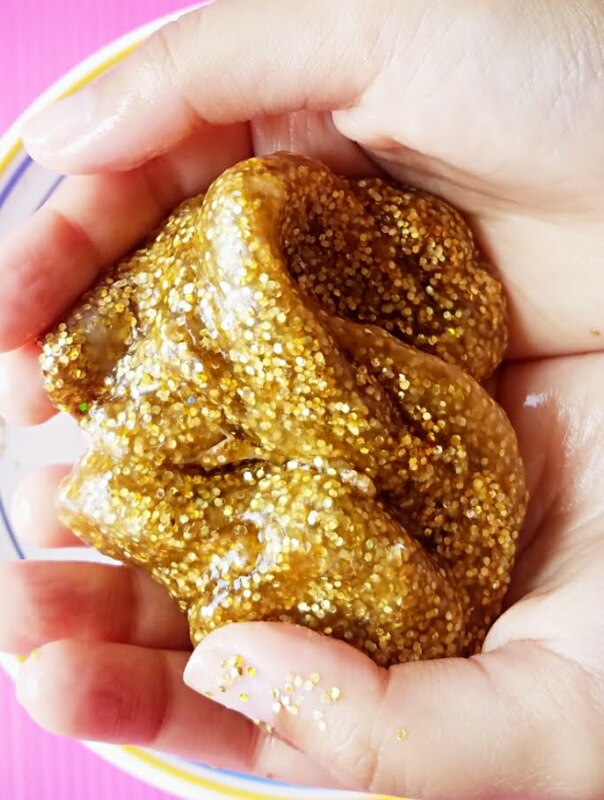 Honestly this slime looked just like molten gold to me and the glitter was just so pretty. 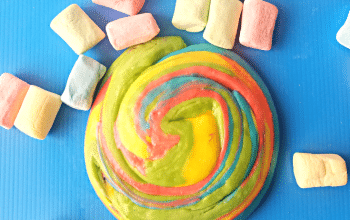 We loved making this slime. For more fun summer crafts do check out my Glittery Ocean Slime and my Floating Rainbow Popsicle Raft Craft. 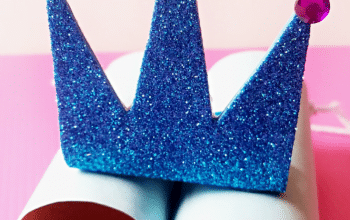 Do make these easy fun crafts this summer with your kids to create everlasting memories. 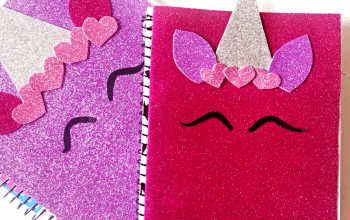 Happy Crafting With Us!! Loved your slime post! 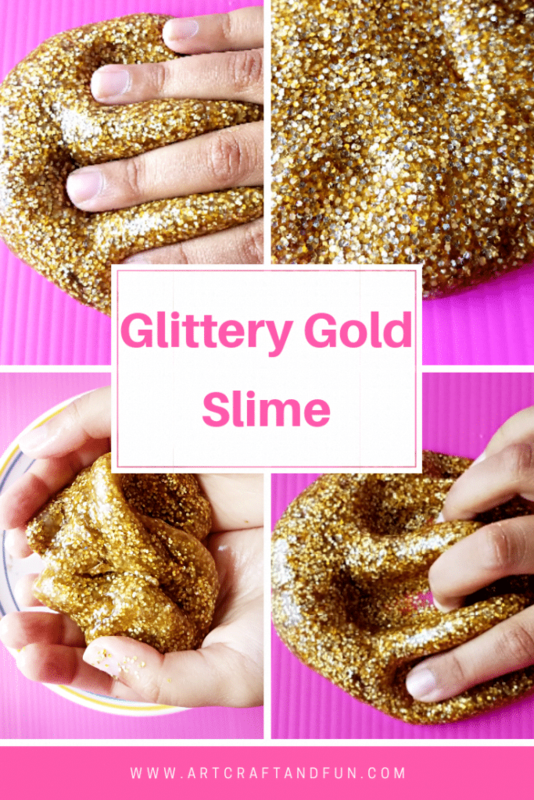 My daughter is slime crazy right now so this will be a great one to try out!